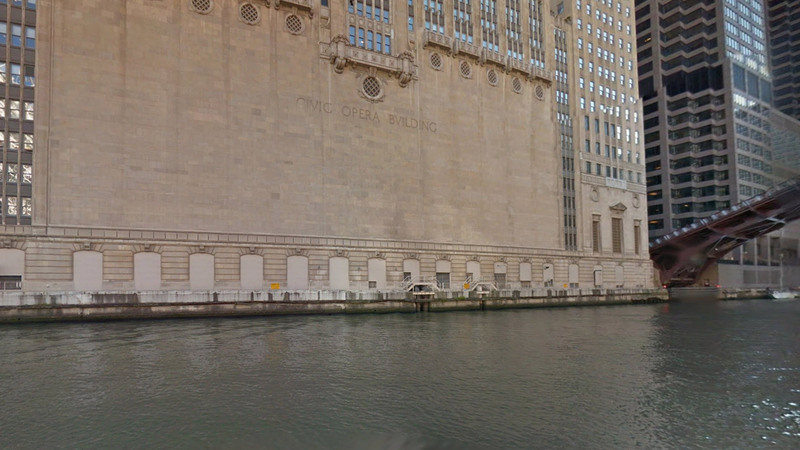 Like many buildings, the Civic Opera Building turned its back to the Chicago River, addressing the river as infrastructure, not amenity. 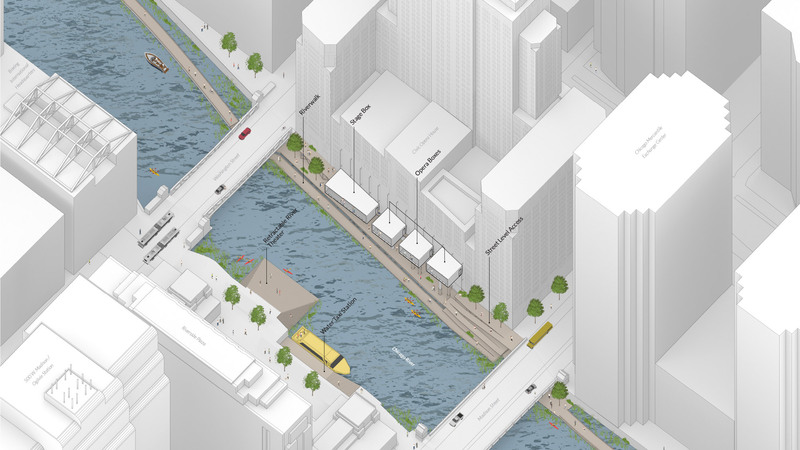 At the same time, the Daily News Building just on the opposite side of the river inverted this thinking, orienting a large public plaza to the river. 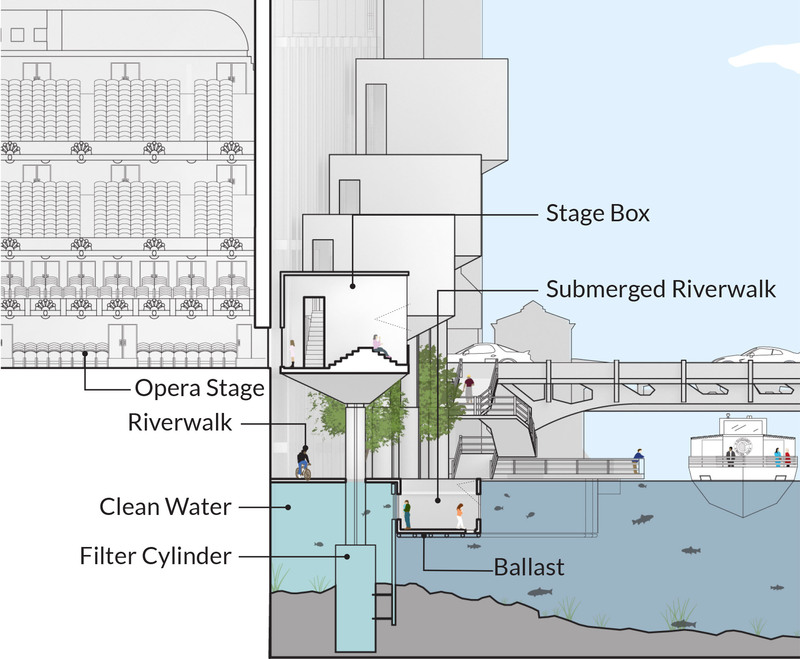 The River Opera seeks to open the building to the river, the Daily News Building and the general public. 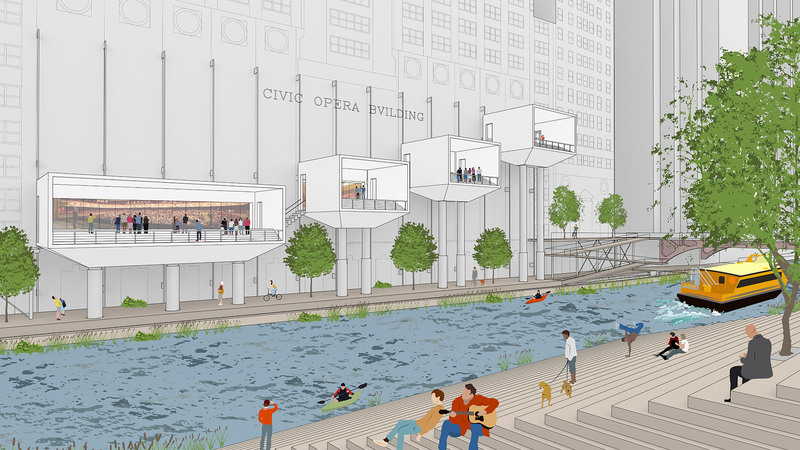 Openings in the Civic Opera Building facing the river create a connection between the riverwalk and the performances within the theater. 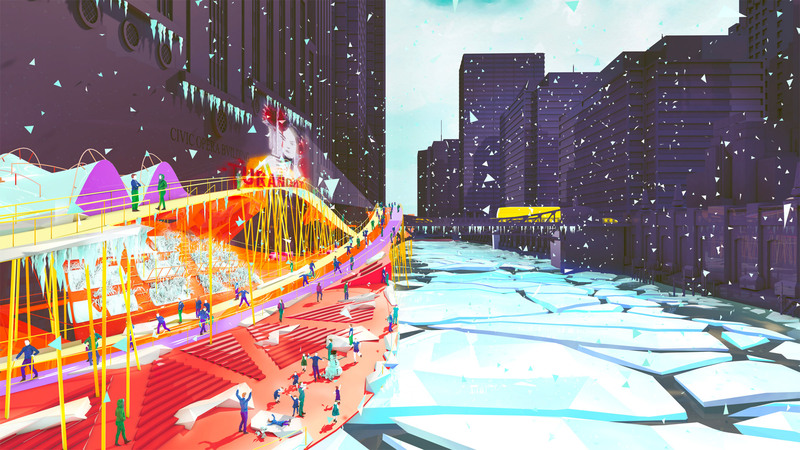 Four outdoor boxes frame these openings and oscillate vertically throughout the day to create an ever-changing performance. 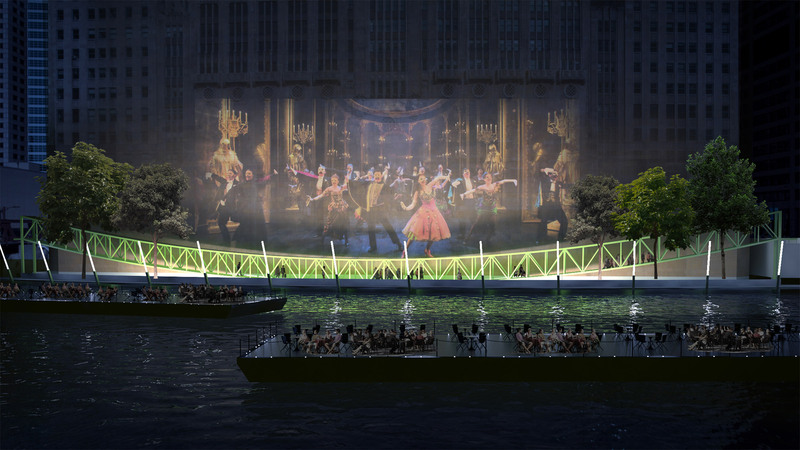 The boxes create different vantage points into the theatre in one position while all aligning at street level to foster connections between Washington and Madison Street. 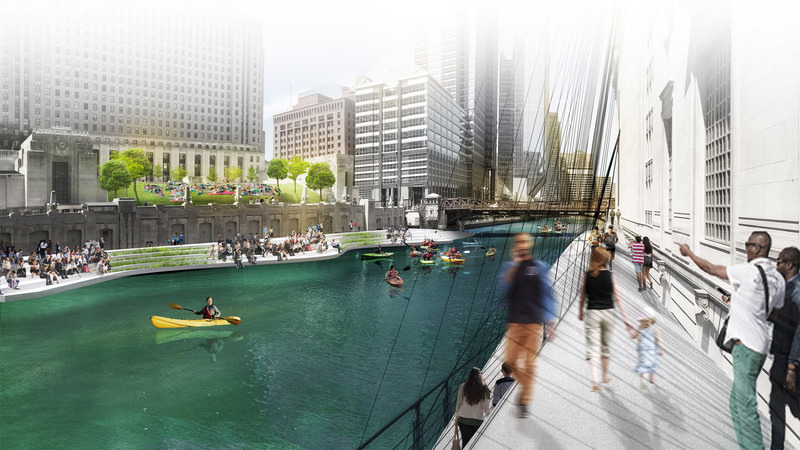 The movement itself drives a water purification system that cleans river water by filtering it through vertical cylinders for use with the building’s thermal systems. 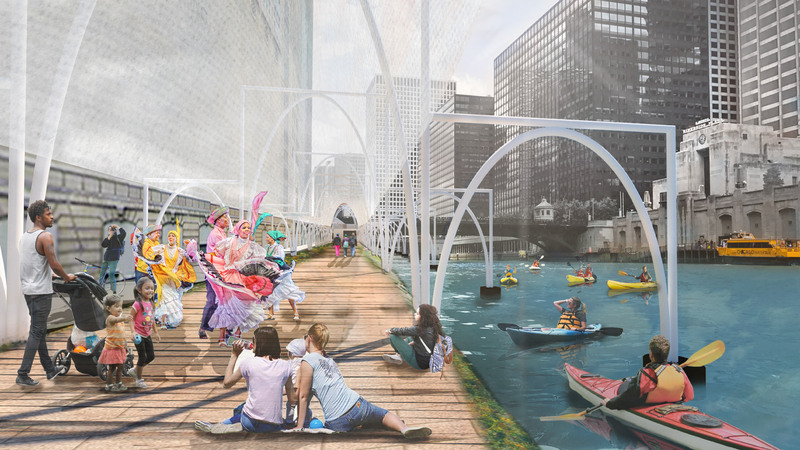 This “performance” is viewable via a glass-walled, partially submerged riverwalk that permits views below river level. 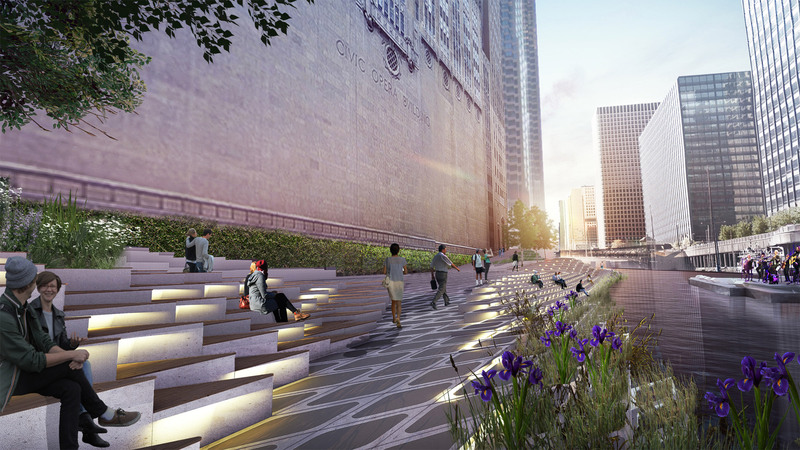 Opposite the Civic Opera Building, a retractable stepping plaza along Riverside Plaza provides a public viewing platform, creating a dialogue between the theatrical performances of the Opera House and Chicago’s finest street performers. 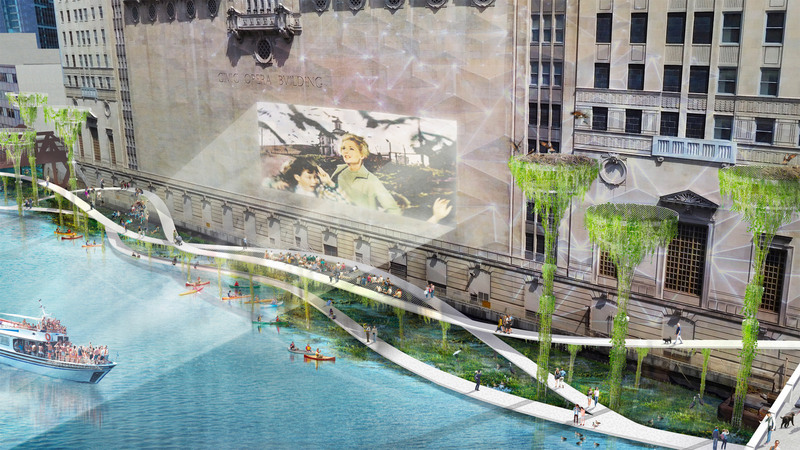 A phenomenal connection is created between the Civic Opera Building Riverwalk and Riverside Plaza by activating both edges of the river. Raised boxes provide views into the theatre from different vantage points while also providing an outdoor stage for street performances. 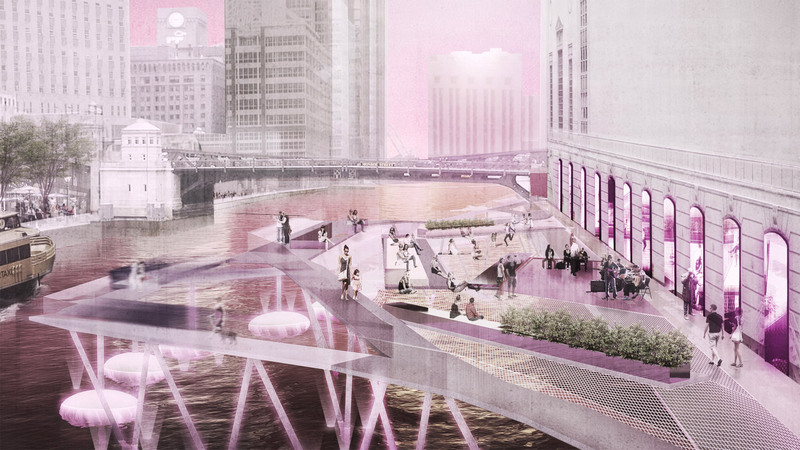 A stepped plaza provides river access and a vibrant public outdoor space for performance or leisurely respite. 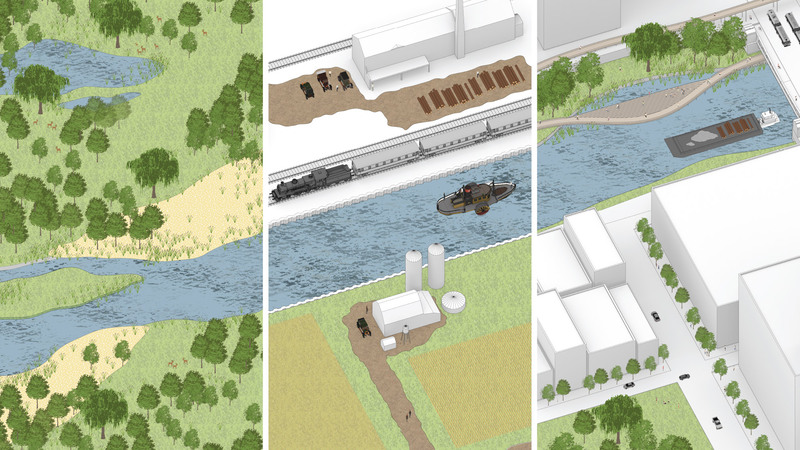 A submerged riverwalk displays river ecologies and water filtration system. 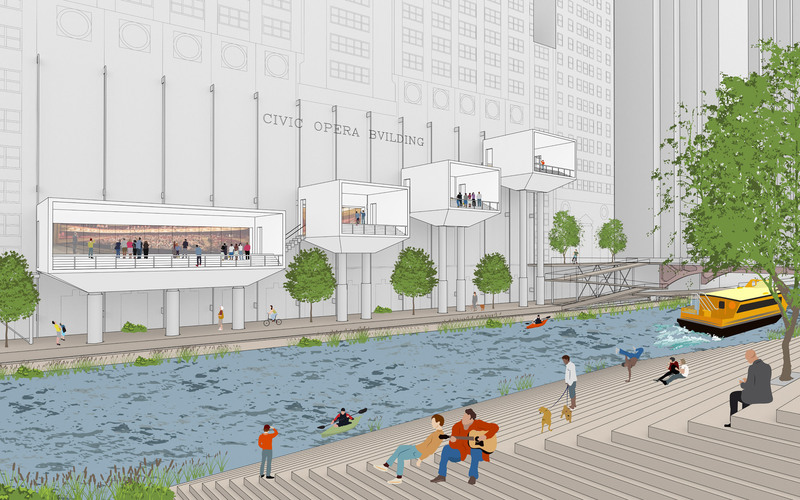 Opera Boxes lower to create a street level riverwalk connection.